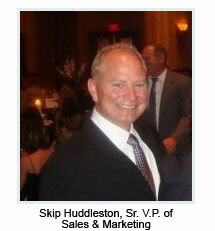 Skip Huddleston, AAPCO Group's Sr. VP of Sales & Marketing, was recently named a Trustee for the Apt. Assn of North Carolina's newly formed Political Action Committee. The purpose of this PAC is to evaluate and provide financial support and to influence and support the election of candidates for public office in the State of North Carolina, who, by their acts, writings and statements, have demonstrated an interest in good government, have shown an understanding of the Apartment and Rental Property industries, and have a willingness to cooperate and work with the Apartment and Rental Property industries to further public policy in the public interest. Huddleston, a CPM Candidate, is extremely excited about this latest opportunity to serve. He has previously served numerous years on both the AANC and the Greater Charlotte Apt. Assn. (GCAA) Boards of Directors. He was also an officer of the GCAA and has served on multiple GCAA committees. Of the opportunity, Skip said, "AAPCO Group has enjoyed tremendous success within the Multifamily industry. The AANC PAC appointment allows AAPCO another opportunity to "give back" its time and energy to some of the companies that have helped make that success possible."